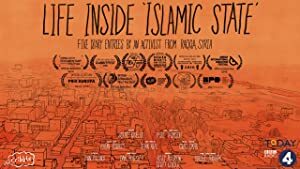 An animated documentary about the experiences of the Arabic activist Al-Sharqiya-24 in the Syrian city of Raqqa after an extremist group of Jihadists took over the city, as told to the BBC Radio 4 Todays Mike Thomson. Two minions get in a competition. The kindly story-teller Uncle Remus tells a young boy stories about trickster Br’er Rabbit, who outwits Br’er Fox and slow-witted Br’er Bear.